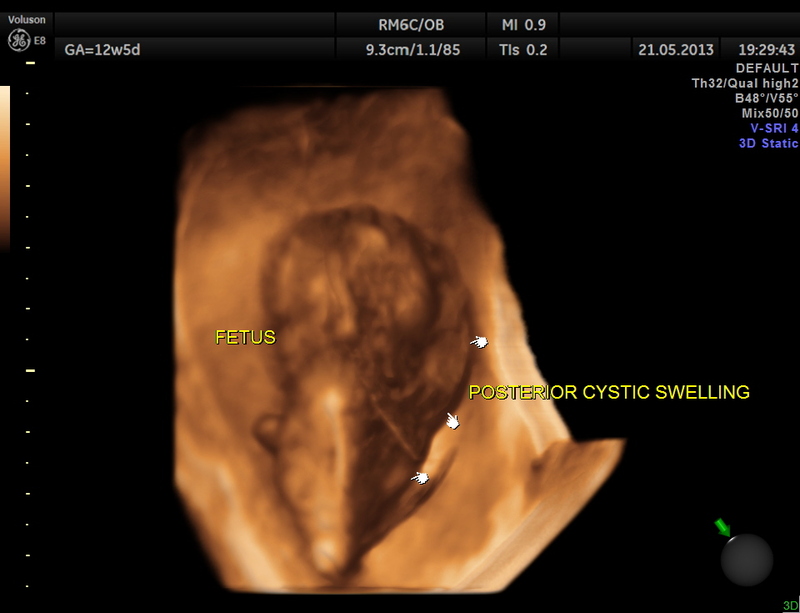 This 23 year old primi gravida, with no history of consanguinity was referred for 2nd opinion for evaluation of cystic swelling of the neck in the first trimester. The following are the 2 d pictures. The following is 3D multi dimensional picture. the following are some reconstructed images. the following are high definition live images. 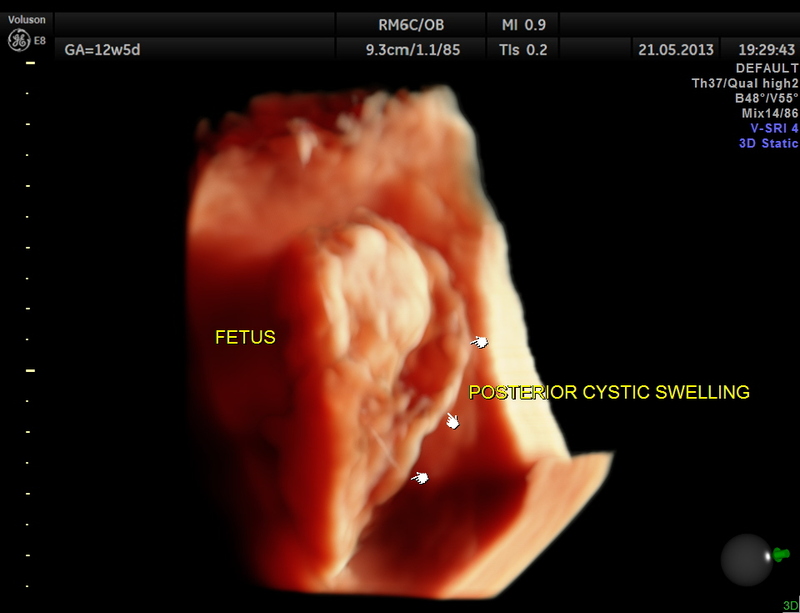 The diagnosis offered was cystic hygroma . The following link is worthwhile exploring. the following is from the above link. 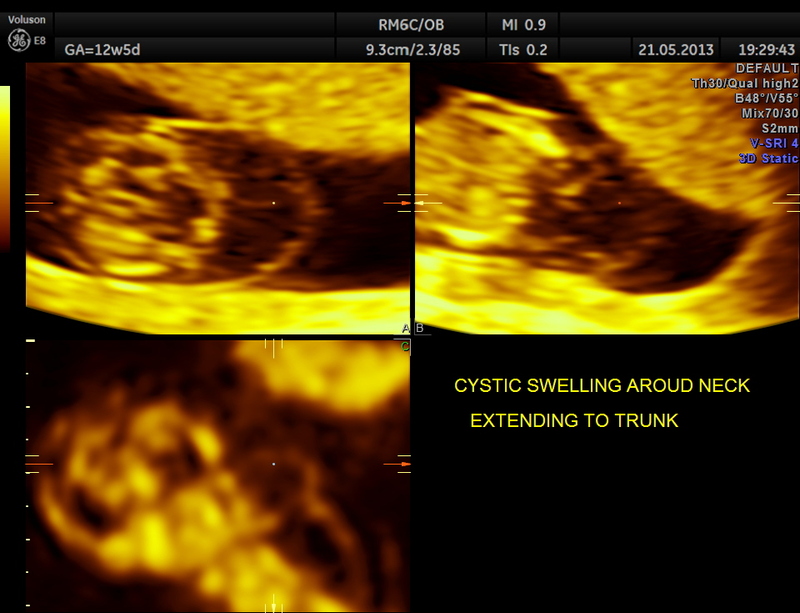 Cystic hygroma colli probably represent the most common cause for a neck mass detected prenatally. Other neck masses detectable ultrasonically include cervical meningomyelocele, heman­gioma, teratoma, goiter, sarcoma, and metastatic adenopathy. Occasionally, a large cephalocele may mimic a neck mass. 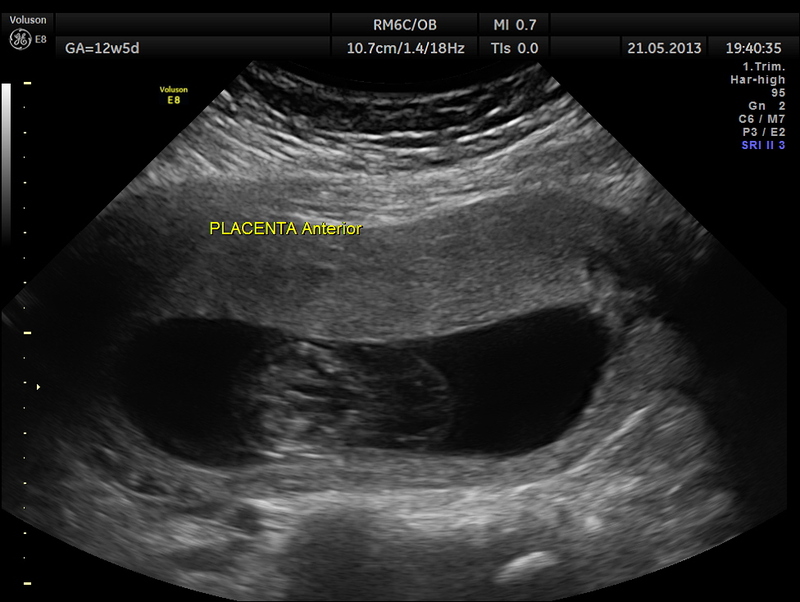 In most of these rare cases, polyhydramnios, hydrops fetalis, or other clinical features signal a careful search of the fetal neck. 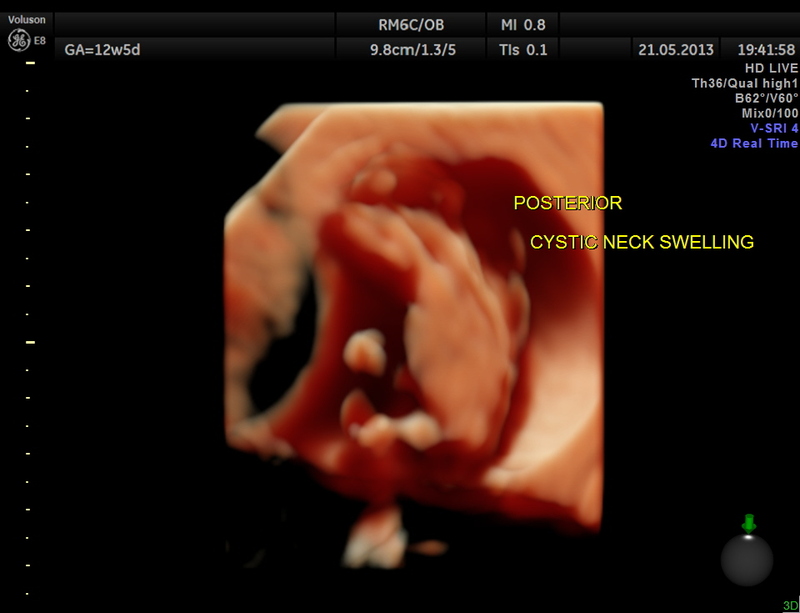 Is an abnormal neck mass present? 1. Is the mass unilateral or bilateral, posterior or anterior ? 2. Is the mass in the midline or not ? 3. What are its echotexture and Doppler characteristics ? 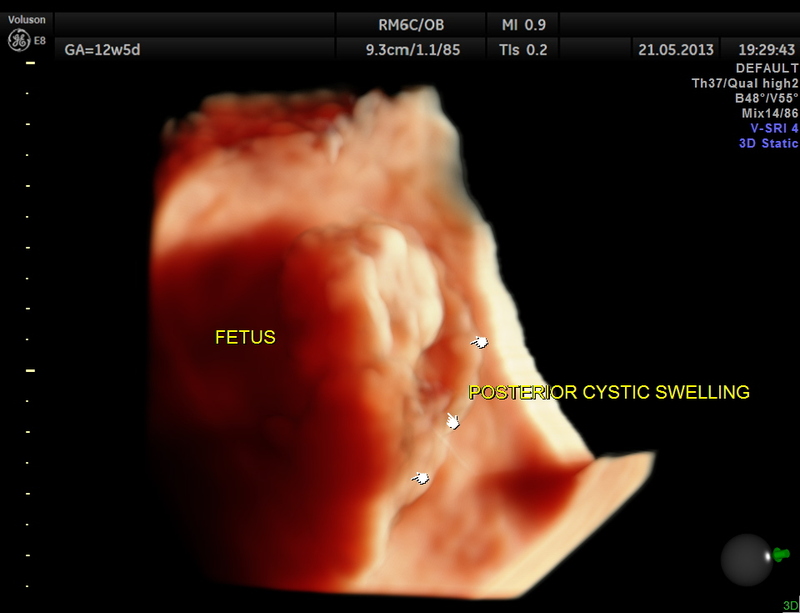 * most bilateral posterior masses are cystic hygroma colli, especially multicystic masses with a midline septation. * hemangiomas can occur anywhere with variable echotexture, but have typical arterial and venous Doppler signal. 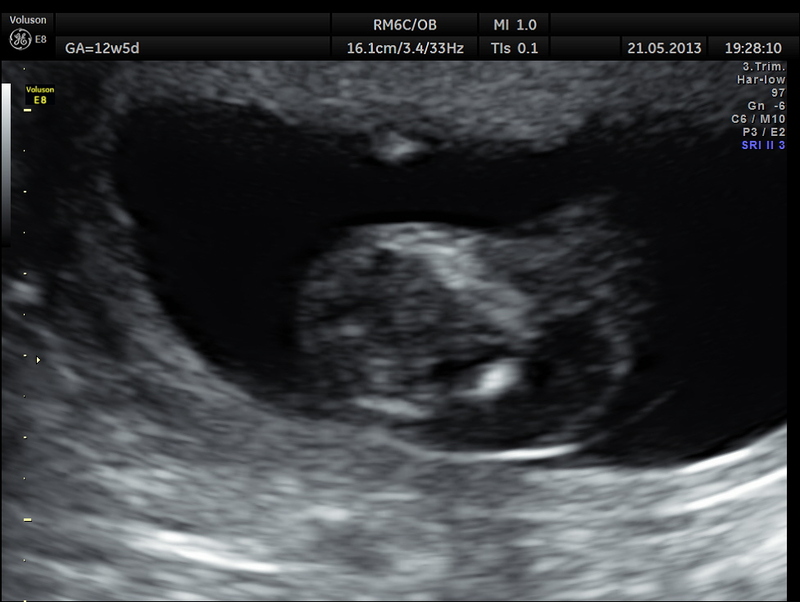 Now there is intrauterine therapy for fetal goitre–check the hormones and give thyroxine.